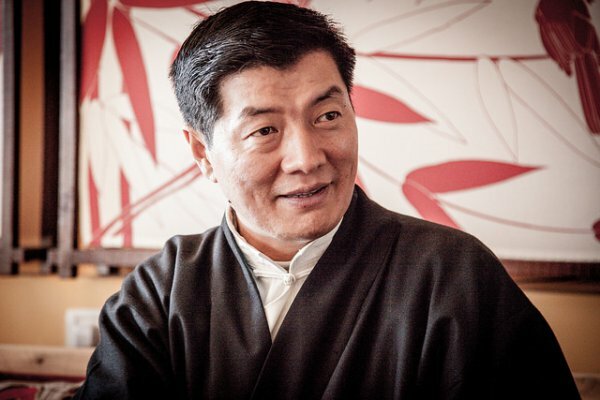 On 24 January 2018, Lobsang Sangay, the President of the Central Tibetan Administration testified before the European Parliament’s Subcommittee on Human Rights (DROI), expressing his concern about cases of political, religious and language repression in Tibet, including the destruction of Buddhist learning institutes such as Larung Gar and Yarchen Gar. Both the Chair and Vice-Chair of the Subcommittee have encouraged the European Parliament to support Tibet’s struggle to achieve autonomy as well as preservation of Tibetan language. The President of the Central Tibetan Administration Dr Lobsang Sangay testified before the Subcommittee on Human Rights of the European Parliament yesterday. Parliamentarian Laszlo Tokes, the Vice-Chair of the subcommittee, urged his colleagues to support Tibet’s endeavour to achieve genuine autonomy and expressed the crucial need to do so. He also added that the European Parliament needs to put more effort on minority rights and preservation of Tibetan language in Tibet.